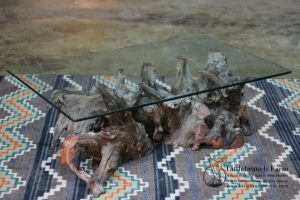 Please call or email as custom order a similar table! 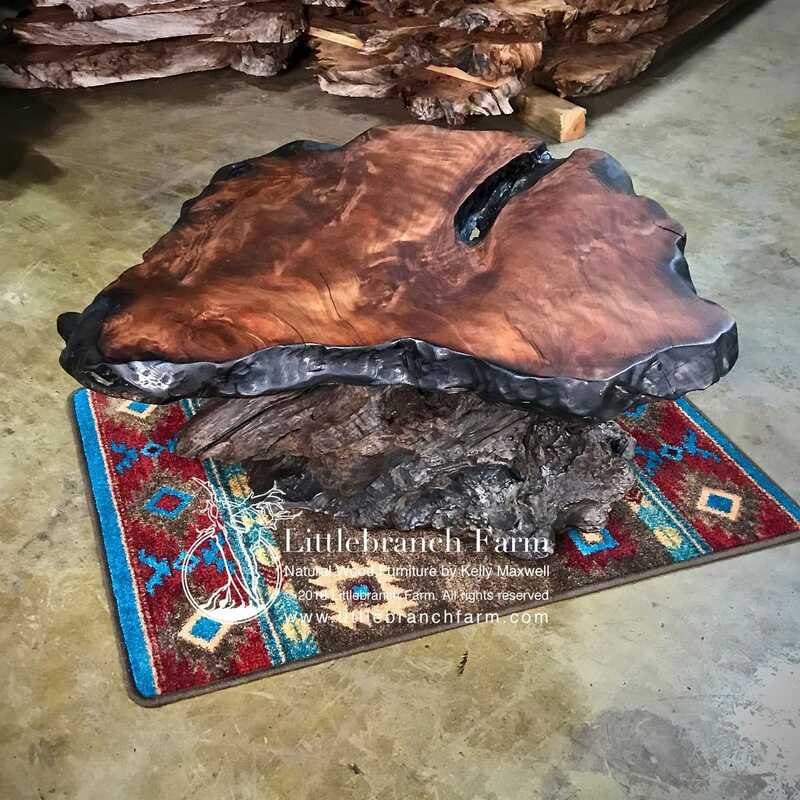 Another redwood rustic coffee table with a redwood burl root base. The weathered root base milled from a salvaged redwood driftwood root. 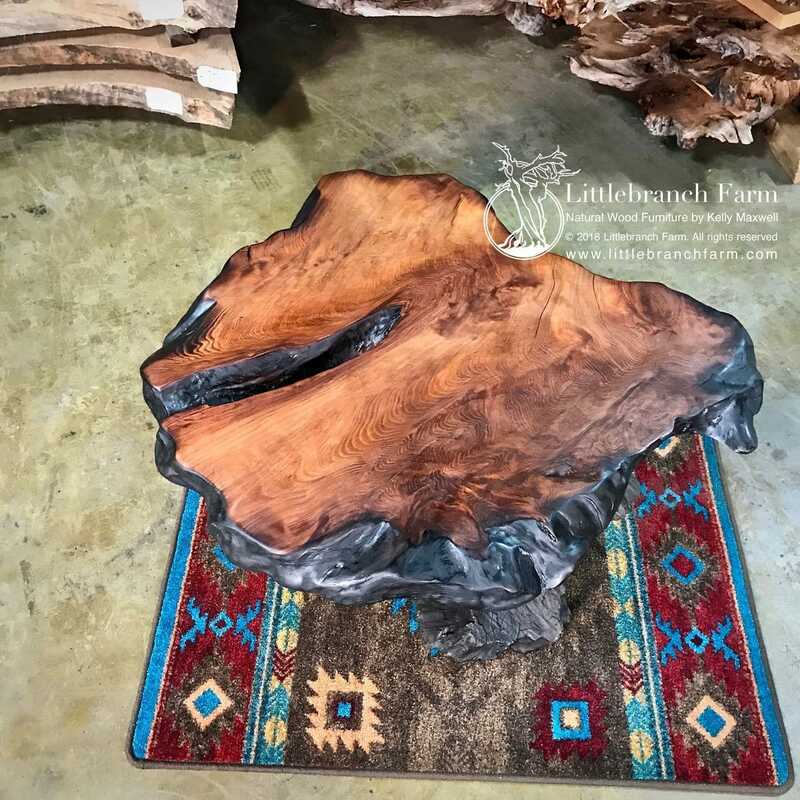 Each natural wood coffee table is one of a kind and this one is no exception. 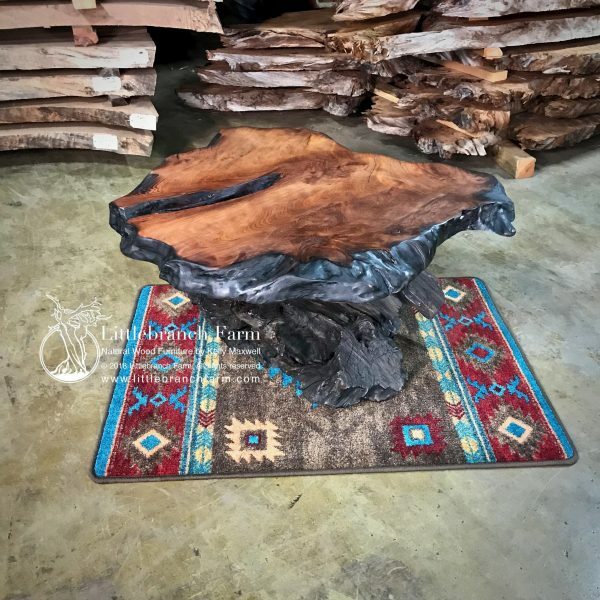 The old growth redwood wood slab has fire chard live edge. It also has unique wood grain patterns. 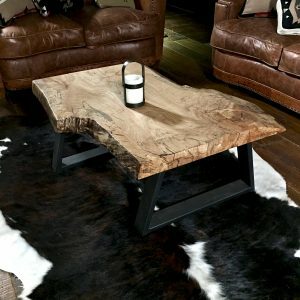 No two natural wood coffee tables are the same. Thus this table cannot be replicated. 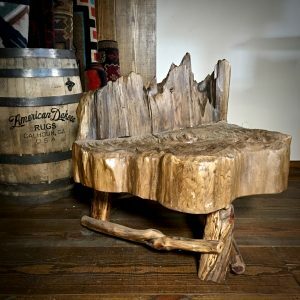 We seek out the best of the best in gnarly live edge wood, juniper logs, and driftwood native to the USA. 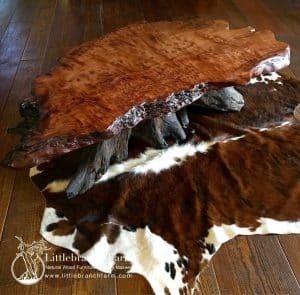 More specifically the Pacific Northwest and there exotic bigleaf maple burl, Buckeye Burl, redwood burl, and other burl wood slabs. We welcome custom furniture orders but remember we work with exotic wood slabs not two by four.